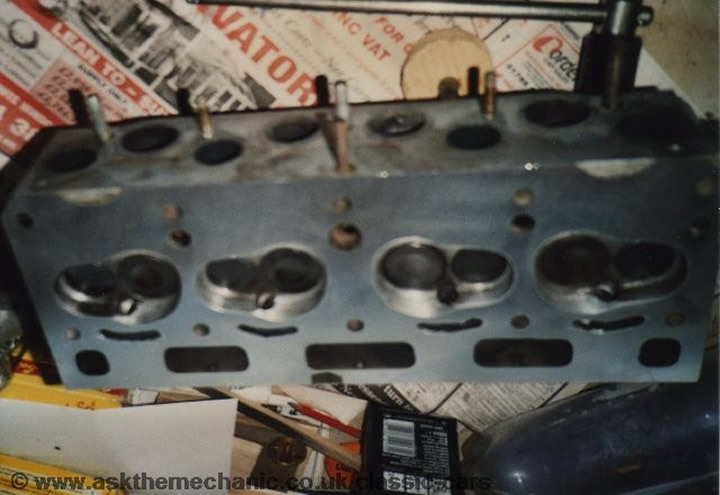 This head has been modified to the spec as detailed in “The Theory and Practice of Cylinder Head Modification” by David Vizard published by Speed and Sport Publications Ltd ISBN: 85113-044-5/ 0851130445 January 1971. This is a great book which your library might be able to get for you, it gives precise details and actual size diagrams of the alpine combustion chambers, David Vizard is a great engine tuner and these modifications can add 11-15 bhp depending on engine size. This template was made and is used to mark the head, it is positioned using the valves. Make sure not to cut over the gasket line. This head was used on a 1725cc engine with 1600cc +60 thou pistons (this will give you 1789cc) these have a smaller bowl (3.8cc not 7.2cc) in the piston which helps with the compression ratio which will be lowered if you do not skim the head/block by a large amount or you could use Holbay flat top pistons. 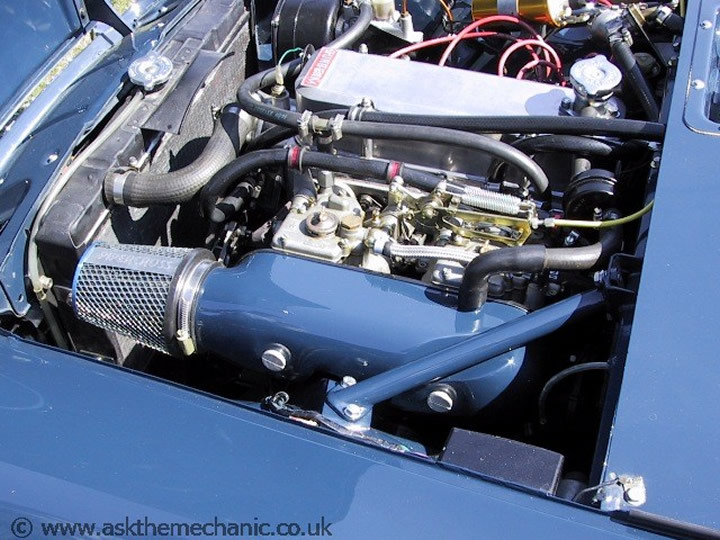 This is the best Holbay engine I have seen in a Sunbeam Alpine, it uses a modified Hunter air box, painted in body colour fantastic job.